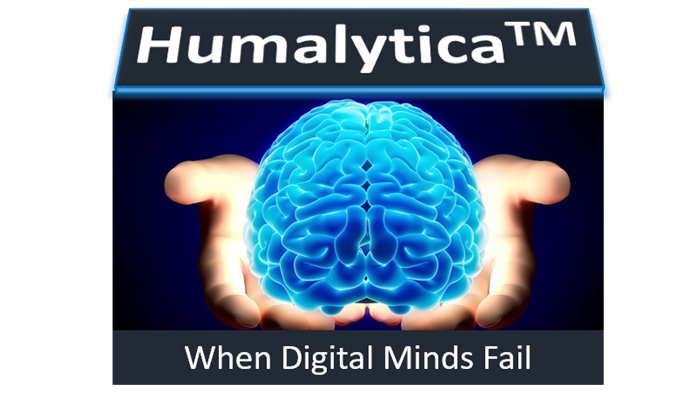 The name, Humalytica, was intended to demonstrate a blend of Analytics and the Human Mind. As data science became a popular field, I began seeing people relying on software and black-box algorithms entirely too much. Analysts were picking their favorite tool or algorithm and forcing their data into it. For instance, an analyst might have learned and liked Artificial Neural Networks (ANN) and uses it to model every problem that comes their way, rather than picking the right algorithm and right tool for the job at hand. HumalyticaTM Analytics attempt demonstrate that business problems can be solved with multiple methods/algorithms using multiple tools, and that there is an optimal solution among the larger solution set. We do this by blogging on multiple websites, and by providing training at conferences, workshops, and to companies directly.